You are as likely to see an HPR as a baseball cap at a smart shoot, says David Tomlinson. So, if you’ve done the training, how do you get to work your well-trained continental pointer? Don't be put off if you are keen to train your HPR as a shooting dog. Breaking into shooting is difficult in the best circumstances, and becomes even more so when you have an HPR. But old assumptions that they are noisy and hard mouthed are gradually dying out, says David Tomlinson. We advise on how to take an HPR shooting. It’s no longer just labradors and spaniels in the line. Pedigrees have ruled supreme, but now we are seeing more crossbreeds in the field. But do they perform as well as their purebred relations? 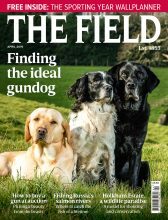 David Tomlinson considers in crossbreed gundogs. Old taboos take years to die in the shooting field. Many decades passed before over-and-unders were accepted and if you go farther back you will discover similar prejudices against hammerless guns, even yellow labradors. Of course, some prejudgments still remain. Turning up at a smart shoot wearing a baseball cap is hardly acceptable and nor is having a continental gundog sitting beside you at your peg. In the past 20 years, I can recall only seeing one HPR being used as a peg dog. It was a weimaraner and acquit itself satisfactorily. I’m sure that if it hadn’t its owner would never have been invited again. It’s some 70 years since the first German shorthaired pointers appeared on shoots in the UK and, since then, those pioneering hunter, pointer retrievers have been joined by a host of other continental breeds. The choice today is considerable. Would you like a lovely russet-coloured vizsla from Hungary or, perhaps, a big white spinone from Italy? If neither appeals, there’s always the Spanish water dog, a game little animal that looks like a sporty poodle. I like the Brittany, the most spaniel-like of the pointing breeds, while I’ve seen some great work by Korthals griffons. All these continental breeds have acquired enthusiastic followers, keen to demonstrate what good gundogs they are. Yet despite this, many shoots are loathe to welcome them, even in the beating line. I’ve met keepers convinced that all HPRs are noisy and hard-mouthed, so they are reluctant to take the risk of having them on their ground. What is true is that many HPR owners are new to the world of working gundogs. They have been attracted to their chosen breed by its looks, have discovered its gundog heritage and trained it to be a proper gundog. Frustratingly, their dog’s working career fails to go any further as they can’t find a shoot prepared to let their animal work. Many shooting people forget how difficult it is to break into the sport unless you have the right connections, even if you have a spaniel or labrador. It’s even more difficult with an HPR. If you want to shoot you can always buy a day but there are few such opportunities for working your dog. A farm close to my home has a lady gamekeeper, a rarity in itself, who is also an HPR enthusiast, breeding, training and trialling her Hungarian wirehaired vizslas. These dogs are great ambassadors for HPRs. Few visiting guns can name the breed when they first see them but everyone goes home impressed with their steadiness and bidability. They are a classic reminder that sound training is essential for any gundog, regardless of breed. However, crimes you might get away with when running a badly trained labrador or springer spaniel are impossible with an HPR. This, perhaps, is as good as reason as any not to own one. However, if the athleticism and looks of an HPR do appeal, then don’t be put off from considering one as a shooting dog, especially if you enjoy rough shooting.  These continental breeds come into their own on ground where birds are sparse and a dog that can range widely is essential to put birds in the bag. Unlike spaniels, they have the great advantage of stopping and pointing before they flush, giving you the chance of a shot. Shooting a pheasant off a point may not be technically challenging but it can be enormously satisfying, especially if it’s your dog doing the pointing. For many years HPRs had a reputation for being noisy and having hard mouths. The Germans favour a dog that is prepared to despatch a wounded fox or hold a boar to bay, and are happy if the dog gives tongue and tells them where it is. It took several generations to breed out these traits and now it is rare to come across a noisy HPR or one that crunches its birds. Selective breeding has softened the temperaments of most of the continental breeds, making them easier to train and much less aggressive. Being a peg dog is not the natural forte of the typical HPR. Like spaniels, they are active dogs that want to be involved all the time, not sitting watching birds fall around them. Such temptation can lead to unacceptable squeaks of excitement. Being a peg dog is best left to retrievers that have been bred to it for generations. If you have exceptional skill as a trainer, by all means train your pointer to sit at the peg; if not, buy a labrador. If you want a dog for almost any other discipline, from rough shooting to beating and even deer stalking, then there’s an HPR to suit. I’ve seen some great HPR picking-up teams, demonstrating the versatility of these dogs. If you fancy one, then go for it. However, if you have been invited on a shoot where you think an over-and-under is only just acceptable, don’t take your continental pointer unless you are 100% confident of its ability.